Redesign an ATM. Design a dashboard for a freelancer to manage their work. Redesign the NYC MetroCard system. Learn how to solve and present exercises like these, that businesses use to interview digital product designers and UI/UX designers. Become a better designer. Step up your career. Today’s top companies are looking for business-minded digital designers who are not just focused on visuals. 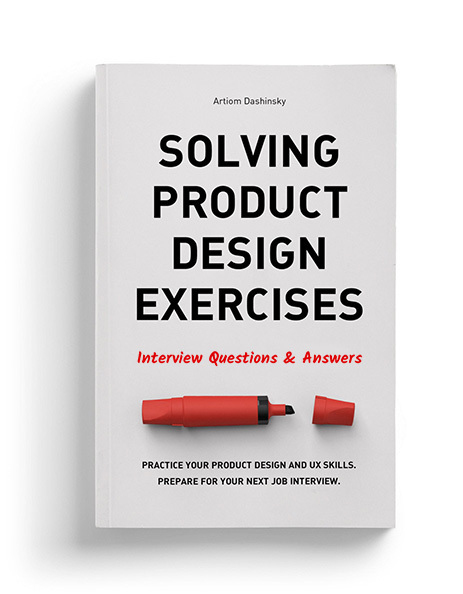 With this book, you can practice this mindset, prepare for design interviews, find project concepts for your portfolio and learn how to interview other designers. Prepare for design interviews — learn about how businesses hire digital product designers and master the design exercise. Step up your design career — practice your product design skills to become a better designer and prepare for your next career move. Improve your portfolio — showcase solutions to real challenges in your portfolio instead of unsolicited visual redesigns. Interview designers — learn how to interview designers and evaluate their skills in the most efficient and scalable way. Co-host of High Resolution podcast explains how designers can change their mindset and get to grips with business. Design leadership coach (ex-Pinterest, Square and IDEO) shares skills which future design managers should work on. Co-founder at Smith.ai, (ex-Apple, Google, Mint.com/Intuit) gives advice to designers who want to become founders. Former Design Lead at Shopify explains the crucial skill most designers overlook. Senior Product Designer at GitHub shares tips for getting a job. Learn and practice skills that are needed to get hired by the top businesses. Build your portfolio with projects that demonstrate your problem-solving skills. Learn tools and techniques that will help in your daily work. Learn how to interview designers. Learn how to test designers. Understand what mindset the most valuable designers should have to define the design role at their organisation. 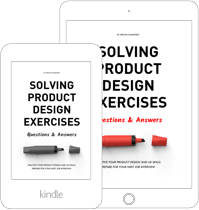 Learn how to ask the right questions to make better product decisions. Learn how designers think so you can collaborate with them more efficiently. 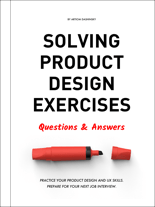 Occasionally I send out resources about the design career, product thinking and hiring. You can join too. The book is really fantastic and helped me prepare and get my dream job. I've also recommended the book to the creative department in my old job. This book is fantastic! 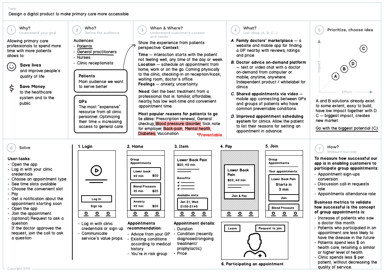 I recently applied for an Interaction Design role at Google […] It definitely worked because I got great feedback on the design challenge and I made it to the in-person interviews. I received two great offers: one from a Fortune 10. This book is informational from cover to cover. A new staple in Product Design recruitment. I was disappointed when I read it. Now realizing how well this book prepared me for my interviews there is no other option than giving 5 stars. 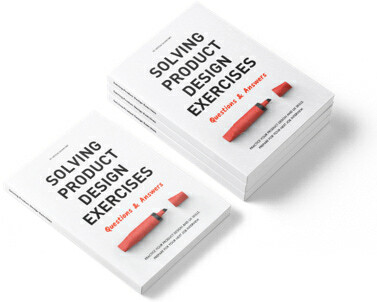 Must have book for students, who want to be Product Designer, UX Designer, or Interaction Designer. 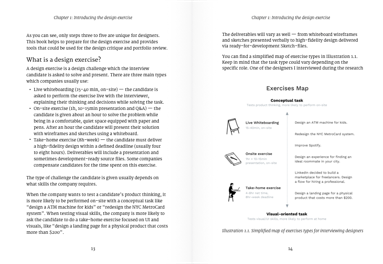 Wonderful, practical guide to design thinking. For those who are frustrated after they didn't get much feedback on their design interviews. Hey! My name is Artiom and I'm a product designer based in Tel Aviv and Berlin. Most recently I led the design of multiple products at WeWork and prior to that I worked with startups building their products and design culture. Reach me on Twitter or email. The book has 158 pages, so it should take you about 3-4 hours. I value your time, so I worked hard to keep the signal-to-noise ratio high to make sure you can finish it over a weekend. Yes, for the digital copy sold on the website. I’m convinced that you’ll find this book valuable. If you feel that it wasn’t, reach out within 30 days of purchase, and I’ll give you your money back. Yes. If you’re a full-time student, send me an email and I’ll send you a 20% off coupon for the website. How long will my print copy take to arrive? How much does shipping cost? All of your shipping costs and estimations will be available to you at checkout. Shipping costs start at: US — $3.99, UK — $3.44, Canada — $5.99, Europe — $8.53, the rest of the world depending on your location ~$5-10. Yes. If you’re buying more than three copies for your team/students/event attendees reach out to me for a bulk pricing cost. How environmentally sustainable is the product? The paperback is print-on-demand, which means that each copy is printed for each order. This method eliminates waste and the need for storage space. In addition, I donate 5% of the printed book profits to Trees for the Future. I suggest you buy the digital copy rather than the print version. If you buy a print version please consider reselling it on eBay or Amazon later. I’m a non-native speaker as well but this book has been professionally edited and we have worked hard to make it accessible for native and non-native speakers. 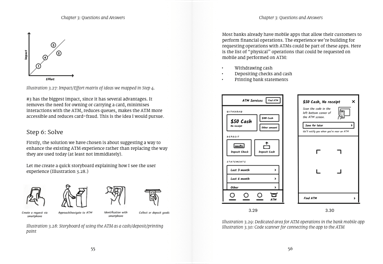 Read the first pages using "Look inside" feature on Amazon page of the book to see if you’re comfortable with the level of complexity. Please contact me via email on hvoostik@gmail.com.